Comme des Garcons releases Hussein Chalayan perfume, Airborne. I really didn’t know what to expect from a Hussein Chalayan fragrance. 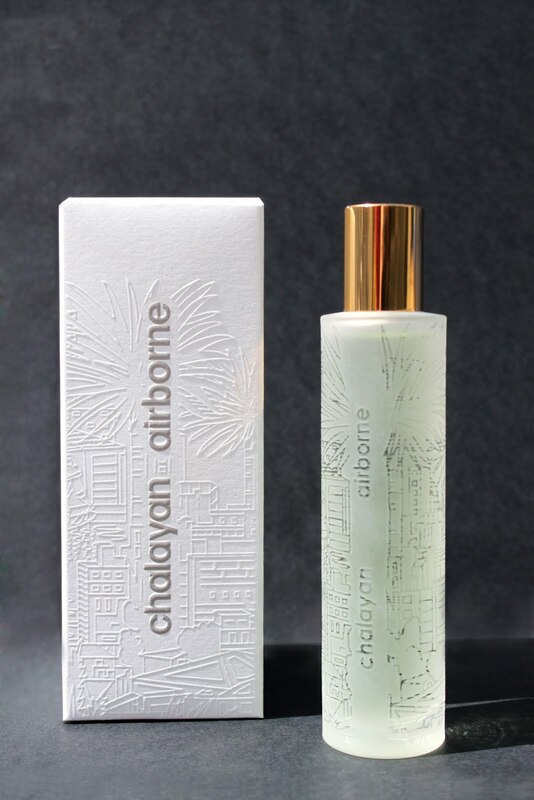 More a clothes architect than a designer, Chalayan’s feted past swoops down on fashion from high, fitting then that his new perfume release is called ‘Airborne’. Hussein Chalayan experiments with shape and form as no other and his intense concepts behind his designs are what makes his brand and name so unconventional and so appealing. This man thinks. He started by burying clothes in his degree show ‘The Tangent Flows’ (which earned him a commission from singer, Bjork), Chalayan then went on to captivate London Fashion Week with ‘must-see’ shows that highlighted his avant-garde and unique approach to fashion. However, despite being approached by names as diverse as Marks & Spencer and Asprey, Chalayan has proved than others struggle with his vision, so it’s good to see an appropriate pairing with Comme des Garcons, of a similar ethos. 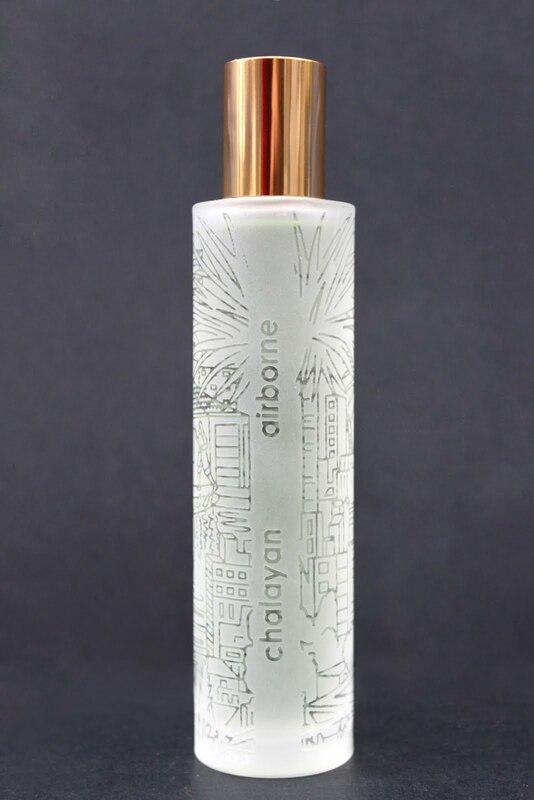 As Comme des Garcons are behind the the fragrance and, as they have been behind the gorgeous and seductive Daphne (Guinness) perfume and the numerous distinct, identifiable own name results, I expected something different from Chalayan. Not for Comme des Garcons, the bland, over-sweet, youth targeted and over tonka filled fragrances released of late, but a clean breathe of fresh air. And that’s exactly what we have, albeit in a feminine, flouncy and airy manner but that’s the joy of this creation. On first application, this fragrance struck me as similar to the Galbanum hewed and faintly metallic freshness elicited by ‘Untitled’ by Maison Martin Margiela. But the unisex fresh and clean scent of newly laundered sheets evaporates quickly and what is left is a blowsy faint aura of femininity. Chalayan drew inspiration from his journey from his native Cyprus to London. 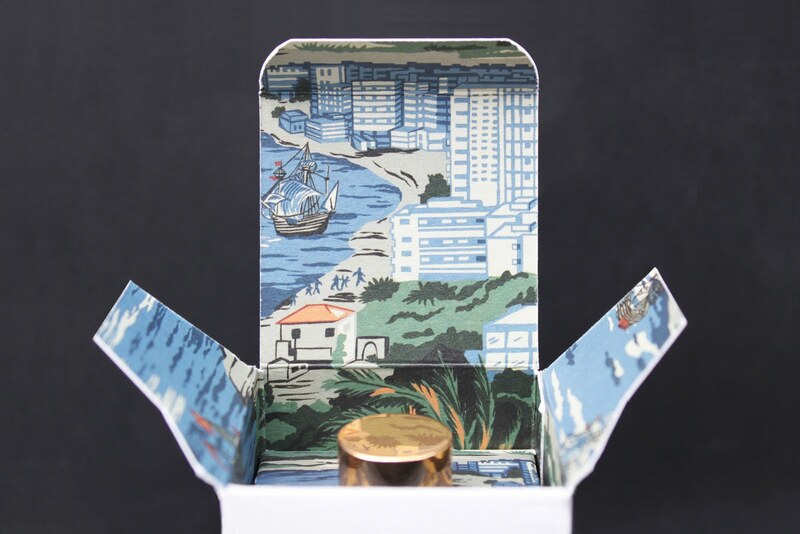 He has tried to transport the smells and tastes of Cyprus (neroli, bergamot, lemon and lentiscus), and to imagine how this freshness would smell on a journey to urban London. 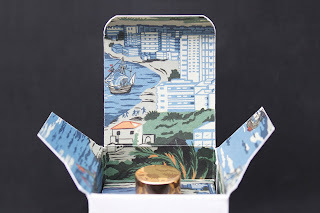 There’s a faint smell of sea foam and the over-riding smell of the heat of the day evaporating to a cool night that makes this scent so appealing. As I said, the first whiff of freshness dries down to an intriguing scent that’s less intellectual and more omnisexual. It’s strength is its weakness. It doesn’t need an overpowering sweetness or a knock over the head Patchouli to carry it’s weight. I can see it being a hit. 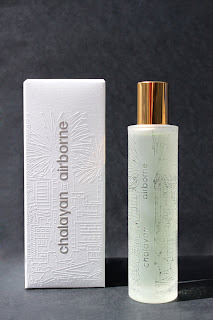 Airborne is available from Dover Street Market priced £60 for 50ml EDT.